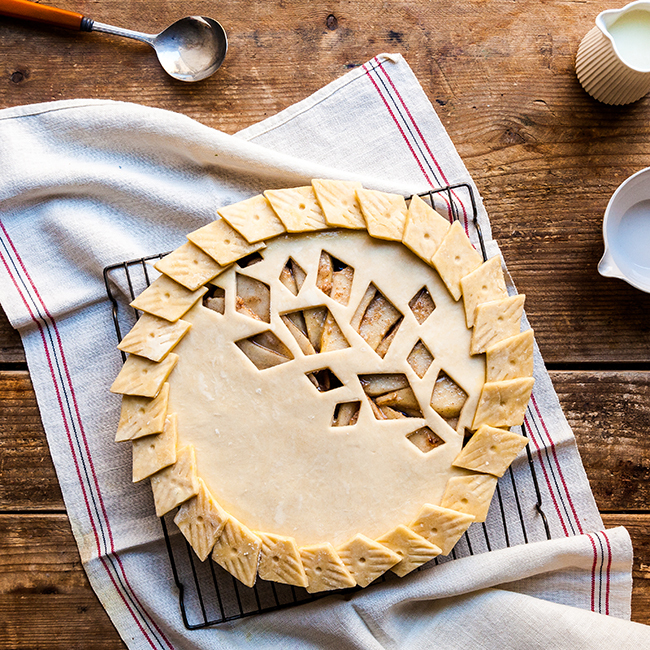 Thanksgiving is upon us and pie baking is at its peak. For those that want a fancy looking pie but are terrified of weaving pie lattices (ME! ), try using geometric cookie cutters for a modern twist. I swear it's going to be the easiest crust you've made and all your friends will think you are a crazy genius. Nutella fans might shed a tear when they dig into the spiced pear filling layered with chocolate caramel and toasted hazelnuts. Happy holidays!